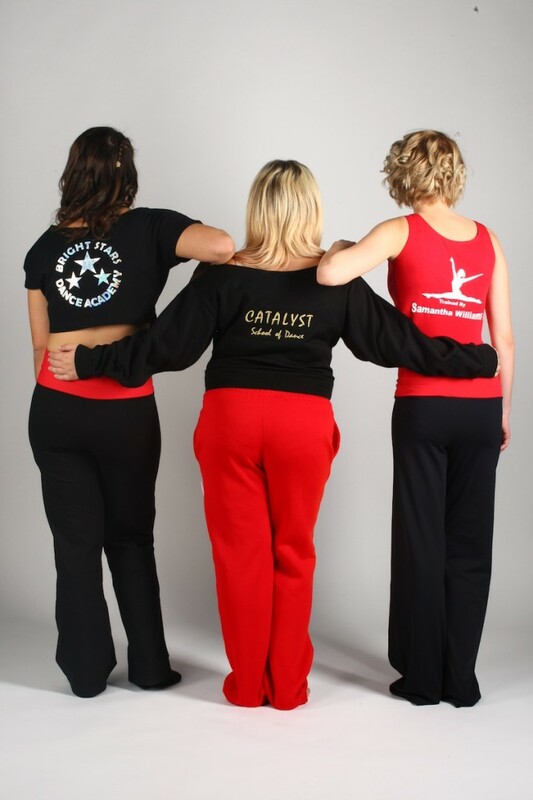 If you are looking for something a little different or you cannot find the garments you like in your dance school colours, take a look at our made to order dance wear. All can be printed or embroidered with your dance school name and logo in any position and we can add individual names in embroidery, print or rhinestones. You can choose from cropped T-shirts and vests, slouch sweatshirts and off the shoulder tops, as well as jazz pants, sweat pants and shorts. We have a new range of mesh T-shirts which can be made cropped or long, short sleeved or as a vest top. These can be printed with your logo and personalised with individual names. With sublimation printing, the design choices are endless. You can have as many colours and as much detail as you like. Logos and names can be incorporated into the design too. Click here to find out more.